Kotleti-Croquettes Recipe (Котлеты) is a very common meat dish in the Slavic culture. 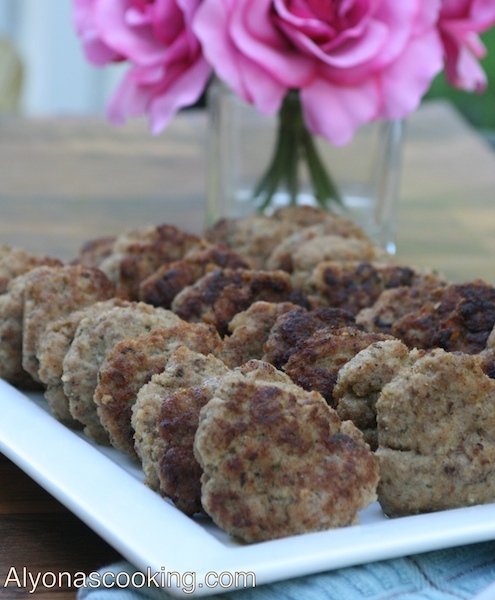 There are so many variations of tasty Croquettes but the general key ingredients are the same – seasoned ground meat with soaked bread most of the time. 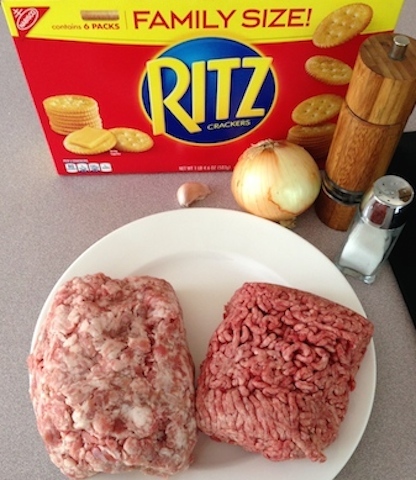 I wanted to share this version of kotleti as the Ritz crackers makes such a wonderful substitute for bread that is usually called for in most recipes. So if you don’t have bread on hand you know what to substitute now.☺️ No worries you will not taste the crackers in the patties once they are slightly fried or should I say seared and steamed in the oven. I highly recommend steaming them for extra juiciness. And of course thanks to my mother, who is a fantastic cook, and passed this approved and tested recipe down to me. I hope it becomes your instant favorite like it is mine.? Note: I used half ground pork and half ground beef. (I know I left out the milk and breadcrumbs from the ingredients photo, sorry but it will be on the instructions. ? To begin, place one and a half packs of crackers in a medium size bowl and add milk. Crush crackers until mushy and puree like consistency. After that, clean the onion but DO NOT remove the core; otherwise it will be very hard to grate without the onion falling apart. I usually just slice the top of the onion off and peel. 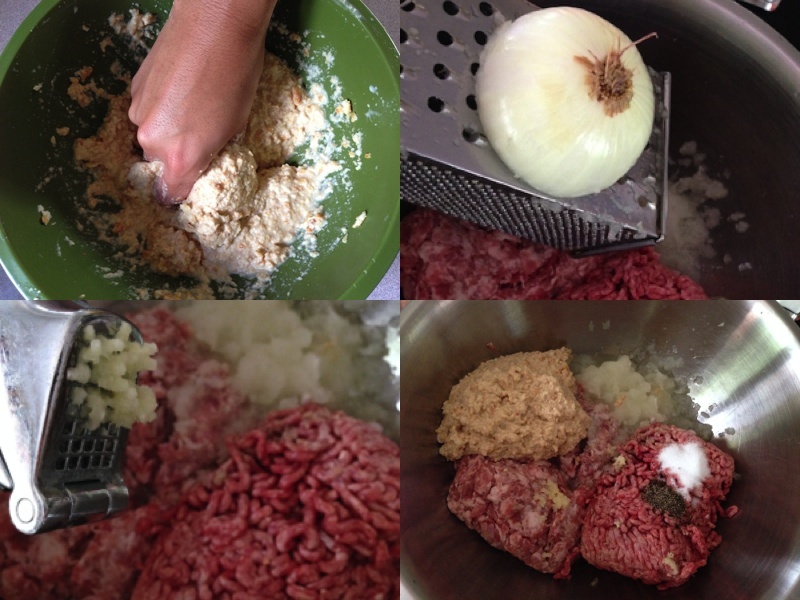 Then, mince garlic or crush add to meat mixture. 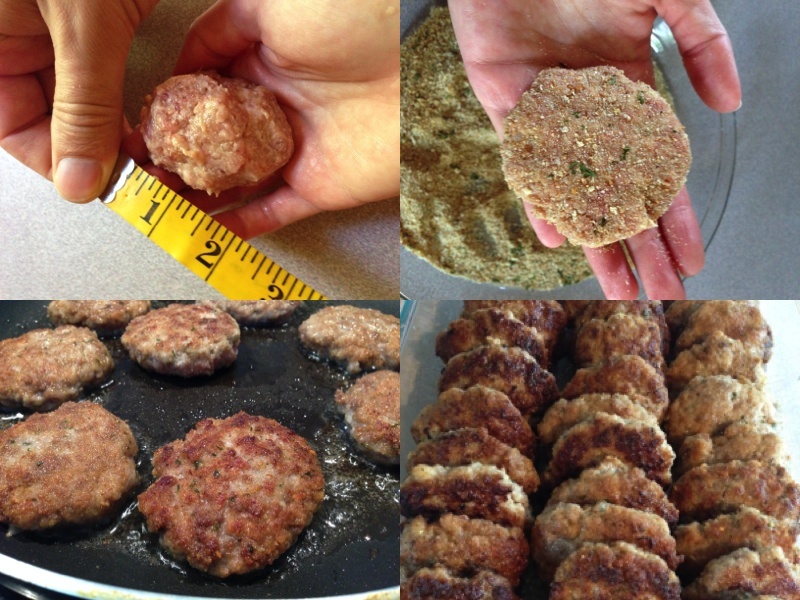 Farther more, combine all ingredients (seasoning, crumbs, garlic and grated onions) and form into about 2 inch balls. Flatten slightly and toss in 1/2 cup of breadcrumbs. Sear patties over medium high heat on each side until golden. Finally, place patties in a Pyrex dish or any shallow baking dish and cover and bake @350 degree for 20 minutes. Feel free to turn off oven last 5 min of baking and let them steam then remove from oven after 20 min. Kotleti-Croquettes Recipe (Котлеты) is a very common meat dish in the Slavic culture. 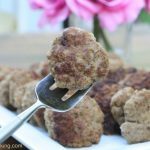 There are so many variations of tasty Croquettes but the general key ingredients are the same - seasoned ground meat with soaked bread most of the time. Farther more, combine all ingredients (seasoning, crumbs, garlic and grated onions) and form into about 2 inch balls. Flatten slightly and toss in 1/2 cup of breadcrumbs. 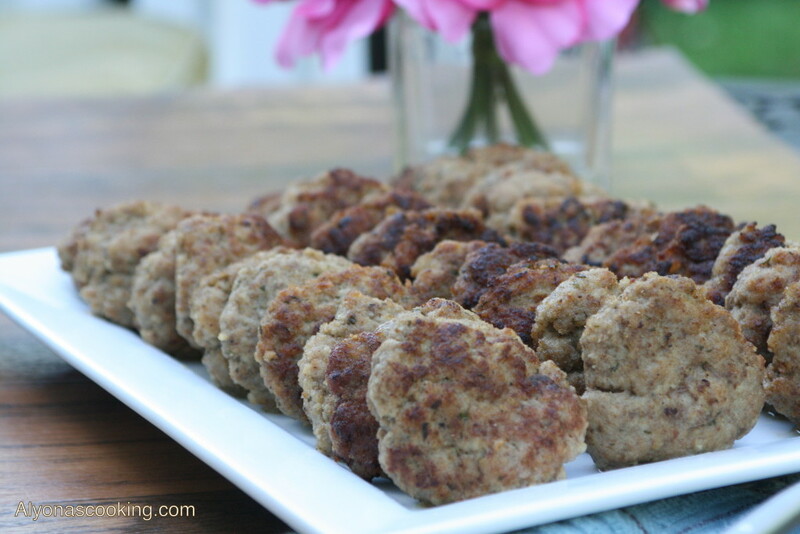 Preheat skillet to medium-high heat and sear patties until golden brown on each side. Finally, place patties in a Pyrex dish or any shallow baking dish and cover and bake @350 degree for 20 minutes. Thank you Tania! Let me know how they came out I would love to know!